With celebrity fans such as Jennifer Lopez, Barbara Windsor, Cliff Richard, Martin McCutcheon and many more, CACI is the most popular and highly rated non surgical alternative to face lift you will ever come across. It’s no downtime convenience, substantially lower cost than a traditional face lift, dramatic results that can be noticed from just one treatment session and no scars or scalpel invasion adds to its list of benefits that make it an increasing popular and modern, intensive beauty treatment for the facial skin. Going under the knife for a eye bag removal or eye lid correction surgery, chin or cheek implants and the removal of access skin from the facial areas can be a daunting thought on its own for a majority of people out there. It is inevitable that the scar recovery from scalpel use and downtime involved with a traditional face lift unlike CACI will require people to take time off their normal day to day lives, causing the unnecessary disruption and hesitance. We believe this to be the modern version of the face lift because as technology advances, consumers should be presented with more convenience and less pain and that is exactly what CACI does via its Computer Aided Collage Induction and much more. Collagen, a natural substance found in the human skin depletes in quantity and production over a period of time as we get older. What gadgets such as ‘wrinkle comb’, ‘electro buds’ and ‘mircocurrent rollers’ do in CACI is promoting collagen secretion and skin cell turnover, consequently increasing blood flow, decreasing pigmentation through microdermabrasion and springing back original skin structure and volume. The treatment that can be used around droopy, wrinkly eyes, sagging jawline and chin and hollow, lifeless cheeks reveals a new layer of skin each time and is also known to treat scars and blemish prone skin. The overall appearance will be glowing, rejuvenated, fresher looking skin that is substantially tauter, smoother and plumper than before. Why CACI? Is it for you? The question is, do you need or want CACI? Ask yourself these questions to decide. Regardless of your age, are you unhappy with your skin in general? 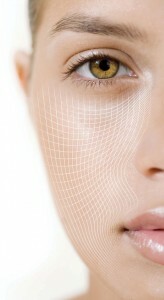 Does saggy skin and wrinkles on your face bothers you? Does it affect your confidence when interacting with people making you overtly self conscious? Are you often tempted to photoshop your skin in photographs? If the answer to most of those questions is a hefty ‘YES’, then it’s time to pursue CACI. At Shumaila’s, our experienced beauty therapists and aestheticians with years of experience have the perfect hand and the skill for using the CACI equipment in a manner that will bring out the best results at a fraction of the cost of a traditional face lift.